One of my specialties is teaching English language skills, to both native and non-native speakers of English. I am able to tailor TOEFL and SAT Reading/Writing prep sessions to accommodate each learner’s strengths and weaknesses. I have helped high school and college students with their strategies and application materials for university admissions. Because I have written professionally for many years, I am able to help students find their "voice" for personal statements and other admissions essays. In addition to English-related subjects, I teach Chinese Mandarin to beginning and intermediate-level students. Because I lived in China and have studied the language intensively over the years, I now have a near-native command. Here again, my approach is to design a strategic study plan, tailoring each session to accommodate each individual's goals -- whether it be for school, business or travel. Because I have worked at standardized testing organizations, developing multiple-choice and free response questions for a variety of tests, I am able to demystify questions for students. My students have included a wide range of individuals: elementary school children, junior and senior high school students, university students, corporate employees and retirees, in the US and abroad. My background in public speaking is rich. From youth experiences in theater, I learned the importance of diction and voice projection, as well as audience engagement. Since then, I have judged speech competitions for children, teens and college students. Through participation in Mercer County Toastmasters, I honed presentation skills which I have used in educational, marketing and sales settings. I have made live and taped presentations to international audiences and the media. In my teaching, I draw from such books as Wyeth’s Essentials of Persuasive Public Speaking, Cohen’s Public Speaking: The Path to Success and from selected speeches representing the best of American rhetoric. My students have participated in New Jersey Orators and other local events involving public speaking, such as Boy Scout speeches and high school debate events. I have studied Chinese for 40 years, and have near-native proficiency in speaking, listening, reading and writing. In China, I have given many presentations in Chinese, as well as television interviews. I have developed many foolproof ways to teach the "tones" in Mandarin to non-native speakers. I have taught Chinese to children and adults, including corporate language classes for employees who have business ties in Asia. Another of my specialties is teaching individuals who are planning trips to China: I tailor these courses to travel itineraries and individual interests. I have taught English as a second language to children, middle school and high school students, university students and people in the workplace. In addition, I have published ESL textbooks and have a blog that helps self-learners. I have also worked in the field of English-language testing. Developing good grammar skills is not just important in the classroom; solid grammar skills are vital for professional success. Exams such as TOEFL, GRE, GMAT and LSAT all take the test taker's ability to understand and use proper language structure into consideration. And, nowadays, HR managers and other recruiters look carefully at the grammar and spelling on each job applicant's resume and cover letter. The secret to teaching (and learning) grammar rules is exposing each learner to "rules," conventions and many, many examples. When diverse and humorous examples are presented, the instruction becomes much more enjoyable-- and effective. I have many years experience writing, editing and proofreading diverse texts. Examples include marketing copy, blogs, PhD dissertations, technical articles, works of fiction, and job search documents, just to name a few. My strengths: I don't go crazy marking up writing that is fine as is. I do look for clarity of expression, and of course flat-out errors in spelling, grammar or word usage. I am good at putting myself in the position of the target reader. I have taught reading for many years and have published books and articles about how individuals can enhance their reading skills. With a Master's degree in Comparative Literature and many years experience creating questions for standardized reading exams, I am sensitive to the differences in genre and text types. Reading tasks vary, depending on whether one is reading fictional texts or non-fictional ones (such as academic passages, historical narratives and memoirs.) As a testing expert, I am familiar with the wide range of texts frequently presented in classrooms and standardized tests; I am also familiar with the categories of multiple-choice and open-ended questions that accompany these texts. As I teach, I try to help each student improve his or her reading speed and "processing" efficiency. But I also try to show each reader the benefits of reading with a purpose and personally engaging with each text. In learning situations, working "hard" and working "smart" can be two very different things. If a student is having trouble performing up to his or her academic potential, that student will benefit from learning the best practices in study skills. Of course, depending on the age, personality, preferred learning style and any special needs, each individual is different. This said, learners of all ages can benefit from the best practices in what I term the Enabling Skills: Planning, Organizing, Reading (Skimming and Scanning), Testing (Multiple Choice and Free Response), Note-taking and Time Management. When I work with students and parents to improve study skills, my first step is to quickly understand what makes the individual student tick. I try to learn, in a gentle way, where potential problems lie and what behaviors might be changed for the good. For example, some students—who are very bright and even very diligent—are inveterate procrastinators. Other students might have their thoughts in the clouds and so be poor listeners, resulting in their missing key points a teacher makes orally about upcoming assignments or tests. Still others make feel it is unnecessary to "win top grades" or might otherwise lack motivation. Each of these situations requires a slightly different approach. Throughout my career, I have worked with students (in the US and overseas) from elementary school through graduate school level on how to improve academic performance. My approach is holistic and behavioral: That is to say, I believe that a learner’s self-esteem and attitudes toward learning/ teachers/grades/school are just as important as the logistics of learning; i.e., when the student does homework during the day and how that learner organizes his or her backpack. I view my role as both diagnostician and coach, as I enjoy showing diverse students different ways to study (different ways to learn and to perform academic tasks), especially in preparation for key homework assignments (projects, term papers) and classroom quizzes and tests. I also enjoy showing families how a student's communication with parents, teachers and other students can contribute to better “academic task management” and better learning outcomes. Because I have considerable experience in language arts assessment, I’m often able to determine, especially with parent input, if there are certain reading or listening problems causing a student to falter. I enjoy teaching vocabulary to native and non-native speakers of English. Although I am very flexible in how to teach vocabulary, my preference is to employ a variety of interesting activities to promote interest. Of the many areas I touch on are vocabulary in context (reading and usage in speaking and writing), word formation and etymology, word relationships (e.g., synonyms, antonyms) and register (what words constitute appropriate language for speaking and writing in different forums). When words become interesting to a learner, the rest is easy. The ACT English test is a multiple-choice test designed to measure a student’s ability to write. (There is no essay in this section; it is an INDIRECT measure of writing.) Thus, to do well on the ACT English test, a student needs six things: Solid knowledge of PUNCTUATION rules Solid knowledge of basic GRAMMAR and the idiomatic conventions of written English A knowledge of a variety of SENTENCE STRUCTURES, which means the ability to recognize incorrect clause structures The ability to recognize effective RHETORICAL STRATEGIES, including how writers tailor language for specific audiences The ability to ORGANIZE ideas in a written text, including best practices in topic development and sentence- and paragraph–level transitions The ability to recognize an effective writing STYLE, achieved through appropriate language and tone My approach is usually as follows: After I carry out a quick diagnostic test, I tailor a study plan to meet the individual student's needs. To score well on the ACT English test, most students need to improve their knowledge of both grammar rules and usage conventions. Certain errors are tested frequently, and these grammatical points need to be reviewed and mastered. Many students need intensive exposure to the most common rhetorical strategies used by writers. During my career, I have developed grammar and word usage questions for standardized tests of English. I welcome questions from prospective students and their parents. The ACT Reading test measures a student’s ability to quickly read a variety of texts and answer questions. To do well on the ACT Reading test, a student needs six things: A comfort level with texts that deal with Social Studies, Natural Sciences and the Humanities The ability to understand excerpts from short stories/novels and a sensitivity to “voice,” authorial or narrative A solid knowledge of vocabulary meaning and usage The ability to think logically about words and their meaning in SENTENCES The ability to think logically about ideas within a PARAGRAPH and a TEXT The ability to extrapolate meaning and draw inferences My approach is usually as follows: After I carry out a quick diagnostic test, I tailor a study plan to meet the individual student's needs. To score well on the ACT Reading test, most students need to expand their current vocabulary. Some students need to learn how to read more quickly, in order to finish all the questions on time. Still other students are baffled by certain questions relating to literary passages, and thus need instruction in the craft of writing (and reading) fiction. During my career, I have developed reading passages and questions for standardized reading tests and have taught language and literature at various levels, from elementary school through university. I welcome questions from prospective students and their parents. Over a billion people in the world speak English, making the English language a powerful communication tool. Native and non-native speakers alike can benefit by honing solid English-language skills. Because the subject of “English” encompasses such a broad array of language and skills, I believe each English tutor should tailor the curriculum for individual learners (or classes). Some individuals want to enhance their English skills for the classroom; others want to improve their English for the workplace; still others are preparing for an exam of some sort. Workplace English is less abstract and less "wordy" than academic English; however, English for the workplace also has a set of rules. These are usually industry-specific. My approach to teaching English is usually as follows: After I understand the learner's writing goals, I carry out a quick diagnostic test so that I can develop a study plan to meet the individual student's needs. Then, the student begins to work on improving Component Skills (such as grammar, vocabulary and even pronunciation), Key Skills (reading, writing, speaking and listening) and Enabling Skills (such as skimming, scanning and organizing one’s ideas in English). In general, I recommend that students look at certain "model texts" (stories, articles, academic writings, opinion columns, audio lectures, etc.) to gain familiarity with words, structures and usage conventions. Such English texts serve to provide "teachable language contexts." They also inspire the learner, fostering progress and making class more interesting. To do well on the SAT Critical Reading test, a test taker needs three things: Solid knowledge of vocabulary meaning and usage The ability to think logically about words and their meaning in SENTENCES The ability to think logically about the ideas in sentences within a PARAGRAPH It's not enough to memorize a long list of difficult vocabulary words--although that's a start. Students must be adept at understanding vocabulary in CONTEXT. My approach is usually as follows: After I carry out a quick diagnostic test, I tailor a study plan to meet the individual student's needs. To score well on the Critical Reading test, most students need to expand their current vocabulary. Some students need to learn how to read more quickly, in order to finish all the questions on time. During my career, I have developed reading passages and questions for standardized reading tests. I welcome questions from prospective students and their parents. To do well on the SAT Writing test, a test taker needs three things: Solid knowledge of grammar rules (including the rules of punctuation!) Solid knowledge of vocabulary, both meaning and usage The ability to write effectively, logically and INSIGHTFULLY about a topic, with minimal errors Thus, students who want high scores will need to focus on each of these areas. My approach is usually as follows: After I carry out a quick diagnostic test, I tailor a study plan to meet the individual student's needs. To score well on the SAT Writing test, most students will benefit from some vocabulary work. Certain grammatical errors are tested frequently in the SAT Writing test, and these need to be reviewed and mastered. Finally, all students need to write practice essays: some timed, some written without timing limits. Why? First, practice makes perfect. Moreover, writing and rewriting essays helps test takers understand where their weaknesses lie. Writing and rewriting also teaches the test taker how to PLAN for future essays, quickly and effectively. Other strategies taught: How to choose examples and supporting ideas; How to organize and frame ideas; what the raters are looking for During my career, I have developed grammar and word usage questions and essay prompts for standardized writing tests. I welcome questions from prospective students and their parents. The TOEFL iBT presents different challenges for each learner. Some students struggle with listening; others struggle with speaking. Still other students lack the academic "knowledge" and vocabulary necessary to do well on 3 out of the 4 TOEFL sections. My Organic English approach combines practice with mock test questions as well as systematic learning of new language in CONTEXT. Students of all levels have benefitted from this rigorous, practical approach. One-on-one and small group instruction is recommended. Bi-lingual instruction is available in some cases. There are many reasons to study writing. From elementary school through high school, writing is taught and tested. In the upper grades, academic writing -- including persuasive writing and report-writing -- is vital for students who want competitive grades. Some people want to learn writing for business. Workplace writing is less abstract and less "wordy" than academic writing; however, writing for the workplace also has a set of rules. These are usually industry-specific. Still other people want to learn and practice creative writing -- for short stories or blogs. This type of writing requires yet another skill set. My approach to teaching writing is usually as follows: After I understand the learner's writing goals, I carry out a quick diagnostic test so that I can tailor a study plan to meet the individual student's needs. Then, the student writes a series of essays or stories, etc. We analyze the strengths and weaknesses of these works, and then the student rewrites the piece. In general, I recommend that students look at certain "model texts" (stories, articles, opinion columns, etc.) to understand the best practices in that writing genre. These usually serve to inspire and "teach" the writer, fostering progress in content, language and form. I have worked in the US and overseas with students who are applying to undergraduate and graduate programs. My counseling work has encompassed a wide range of activities--from soul-searching about one's list of safety and stretch schools, choosing references for letters of recommendation and writing a compelling essay or two which captures one's "voice" and fully expresses one's personality, background and dreams. In addition, I coach applicants for college interviews, demystifying the intimidating interview process. Through familiarity with the questions most often asked and targeted practice, students learn how to formulate sincere, compelling answers that make an impact. To do well on the GED, a test taker needs to pass 5 tests: 1. Language Arts, Writing 2. Social Studies 3. Science 4. Language Arts, Reading 5. Mathematics My approach is usually as follows: After I carry out a quick diagnostic test, I tailor a study plan to meet the individual student's needs. Based on a student's strengths and weaknesses, I help students select the correct practice materials, including study guides. Because, generally speaking, the same knowledge base is tested year after year, it can very helpful to work with GED questions from previous tests as review exercises. During my career, I have developed multiple-choice and free response questions for a variety of standardized tests. As a result, I am able to demystify questions for students. I welcome questions from prospective students and their parents. To do well on the SSAT Verbal test and the SSAT Reading Comprehension test, a test taker needs two things: The ability to understand a wide range of low-frequency vocabulary words and identify various “analogical” relations of these words. The ability to quickly read and comprehend 5-6 reading passages and answer 40 multiple-choice questions. To do well on the SSAT "Writing" section, the student needs to be able to create a coherent, persuasive essay with minimal errors. (NOTE: Because each private school uses its own evaluation criteria for the "writing sample," it is important for students to create the most interesting essay they can: In some ways, the SSAT writing sample serves as a window into the student’s personality and background for admissions staff). My approach for teaching SSAT is usually as follows: After I carry out a quick diagnostic test, I tailor a study plan to meet the individual student's needs. To score well on the SSAT Verbal test, most students will benefit from some vocabulary work, including brute memorization, exercises with synonyms and antonyms, and familiarization with word category groupings. To perform well on the Reading Comprehension section of the SSAT, some students, especially those taking the Lower level test, need to increase their reading speed and improve their skimming and scanning skills. Almost all prospective test takers will benefit from reviewing practice reading comprehension questions involving inferences, author’s tones and analogies. For SSAT essays, I make sure that students are exposed to a wide repertoire of rhetorical strategies. I show samples of excellent student writing, and we talk about organization, supporting one's ideas, sentence structure and language usage conventions. During my career, I have developed reading, vocabulary and writing questions for standardized tests of English. I welcome questions from prospective students and their parents. Best tutor we have had! It was our pleasure to have Susan to teach my daughter last few months. She is such a great teacher with love and patience. I have never met a teacher who loves teaching with full of energy and encourage student all the time like Susan. Being a teacher or parent, we always want our kids to learn 'How' to deal with the problem instead of giving them the 'Answers' directly. I am very happy that my daughter has learned all these skills to know how to prepare her SAT test after these few months practicing on her SAT classes. So, all I want to say is to thank Susan for her patience to be with my daughter. You are the best, Susan! Creative and inspiring teacher! Expands students' horizons and makes them think. My daugtee loved her first lesson with Susan. She inspired her to do the research on author's biography And read more. My twins are in second grade, they like writing, and have the first writing lesson with Susan this week. 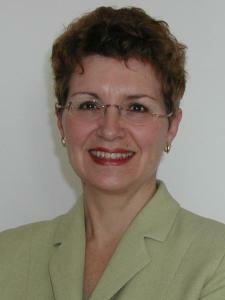 Susan is an experienced and knowlegeable tutor, She knows how to work with child. She try to motivate and cultivate the chilren's inspiration for creative writing， And teach them how to learn and own new words from their reading... We can't wait for the next lesson with Susan! Susan helped us with reviewing the draft of writing, and providing valuable feedback and recommendations on how to improve, which is very much appreciated. Ideal tutor! Unbelievable TOEFL results in very short time. Simply the best!!! Ever! I have nothing but highest praises for Susan's tutoring. From the very beginning it was clear she knows everything about tests and exams, and in particular, how to find and eliminate any grave weaknesses in the shortest period of time. As a result, my quiet, shy and generally very silent daughter passed the TOEFL exam with flying colors. Results were so unbelievable and way above expectations that I had to recheck them twice to finally accept them. I do not know how Susan managed to bring out the best in my daughter, but one thing is for sure: Susan engages students into dialogue about what really interests them, and she is able to intertwine learning process with their personal favorite subjects. Student stays alert and attentive, and the lesson is never a dull experience. Actually, not just students - we, parents, couldn't leave Susan easily as she is such an interesting woman with so many experiences and educational stories. Ideal tutor! We started with Susan not long ago. However it comes across clearly that Susan really knows about teaching reading and writing. Her knowledge in a broad range of subjects makes her sessions very interesting and draws my son's attention. She is very experienced working with kids. She pays great attention to learn about my son's personality, interests, etc and uses that to create the right approach to motivate and work with my son. Look forward to the upcoming sessions with Susan! My daughter worked with Susan for the past academic year on her grasp of modern Mandarin vocabulary, grammar, and idioms. Susan always has an upbeat, positive attitude and a great way of coaching that helps my daughter understand the material. We are grateful for Susan's help and encouragement of our daughter. Bright, energetic & very knowledgeable! Susan does an excellent job explaining the material. She is passionate about the subject which makes learning and understanding the material that much more fun! My son liked her approach. Susan spent good time understanding my son's essay. She provided a good start to essay and title. My son liked her approach. She provided a detailed written feedback. Susan is an amazing tutor!! !